Our private venue is not along a major highway or part of other business activities open to the public. We offer a totally private , very unique, and quiet spot for special occasions. For weddings, reunions, groups, and parties, we offer a full venue rental package that includes the following features. Unique accommodations, which sleep 27 people with all beds filled. This allows the VIP guests to stay onsite for the entire event. It also includes use of the grounds, parking for up to 50 cars, fire pits, outdoor kitchen, indoor stage and lighting, outdoor stage and dance floor, professional Bose L1 sound system (ceremony only) , and lodge as well as breakfast each morning for those staying on site. THIS IS INCLUDED AT NO COST with rental of the accommodations. If you have guests, kids or that cool uncle, that would like to bring a tent, we have lots of room and they stay for $20/person/day, which also includes breakfast. Our outdoor kitchen has a full sized fridge, a 50 burger grill, gas burners, griddle, and sink. When used with our original Chuckwagon, you can feed up to 120 people. Catering is available for events. 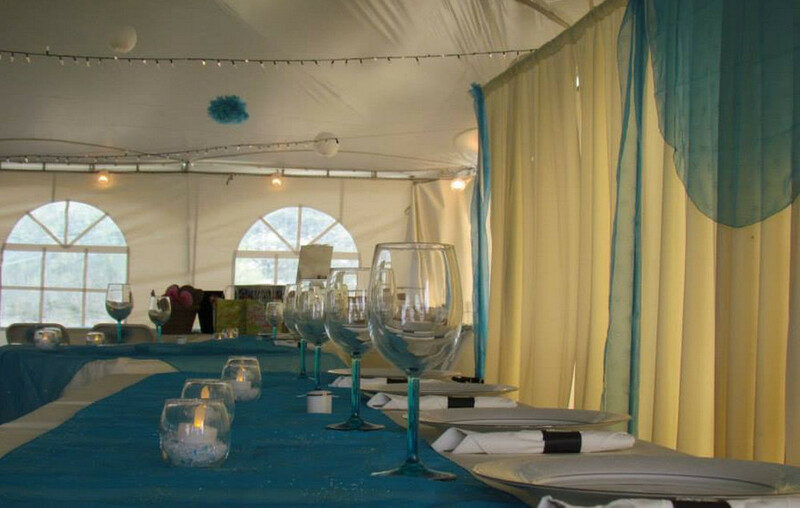 We recommend Redmond House Catering in Maple Creek, as well as others if needed. RV’s and campers will find Willow Bend Campground a convenient 1.5km away, which has all of the hookups they will need. We have limited parking on site. We work with each group to ensure we meet their individual needs and price varies accordingly. Our base price for the venue rental is $1650.00/day and includes the above. Our site map below includes the layout of our grounds and capacity of each accommodation to help you place guests where best suits their needs and family. Let Ghostown Blues be your choice for your event destination for hosting weddings, reunions and parties, both large and small. If you're looking for a relaxed atmosphere, incredible skies, great music and the perfect setting for you and your guests, look no further than Ghostown Blues.